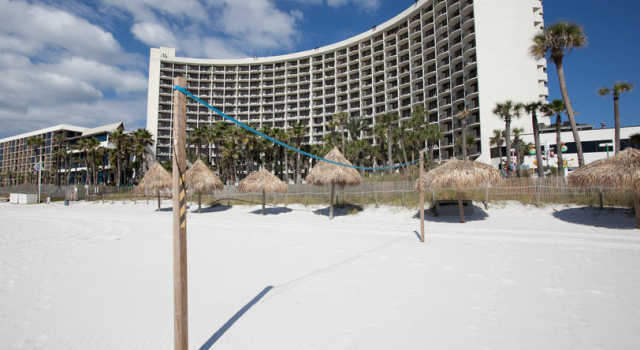 Choose to stay in a high end beach resort this winter when you go on your winter beach getaway to Florida. 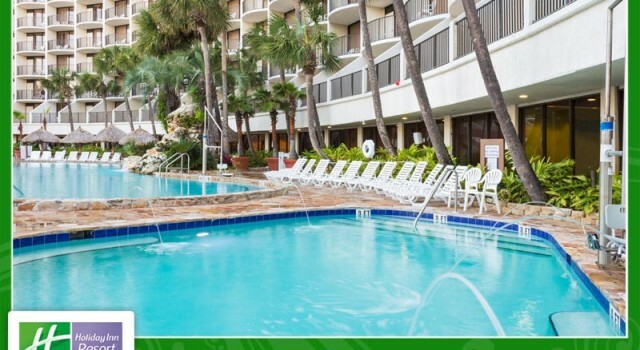 Now you can book the Holiday Inn Resort Panama City Beach for $108 a night and pay $25 less compared to the merchants we have checked for the same deal. 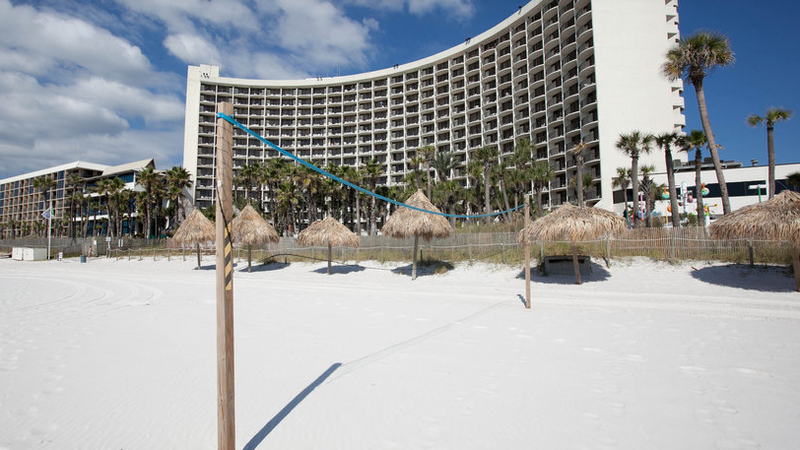 The hotel is set on the Front Beach Road of Panama City Beach, right on the sands. 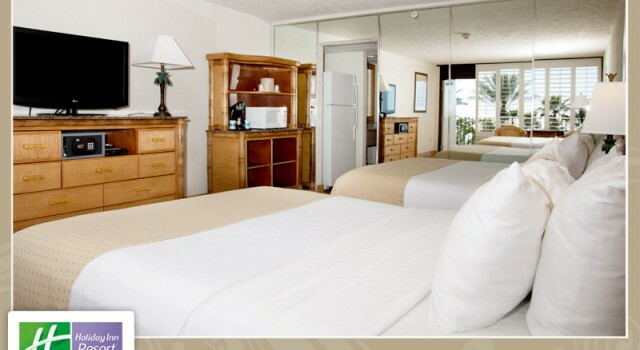 This Holiday Inn Resort is surrounded by great restaurants and bars as well. 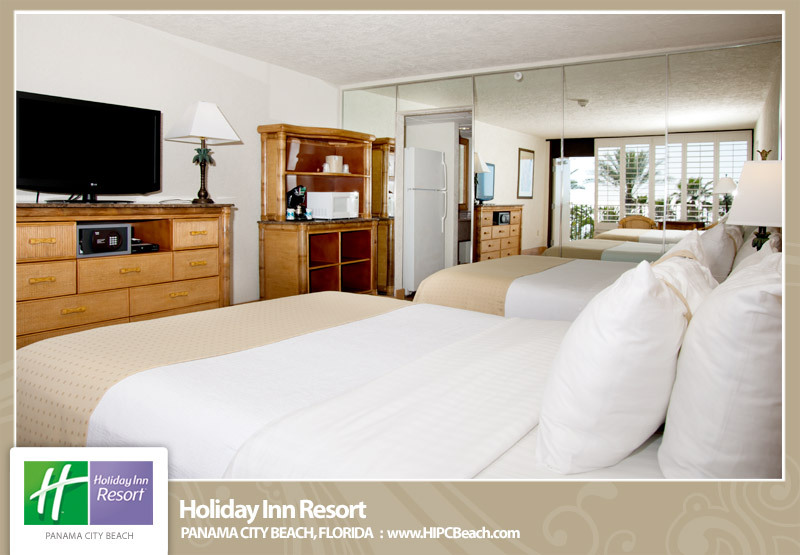 Holiday Inn Resort Panama City Beach is very family friendly with spacious family rooms and even special kids’suites. All the accommodations here face the ocean and all of them have microwave and fridge. Other standard amenities include at leas one flat screen TV with satellite, floor to ceiling sliding glass doors that open into your private balcony, eco friendly Paya bath amenities, dual vanities in the bathroom and a lot more. Guests can choose from six dining options and bars on the spot. There is a pizza parlor here the kids will love but you can also eat tasty grilled seafood or choose one of the other options. 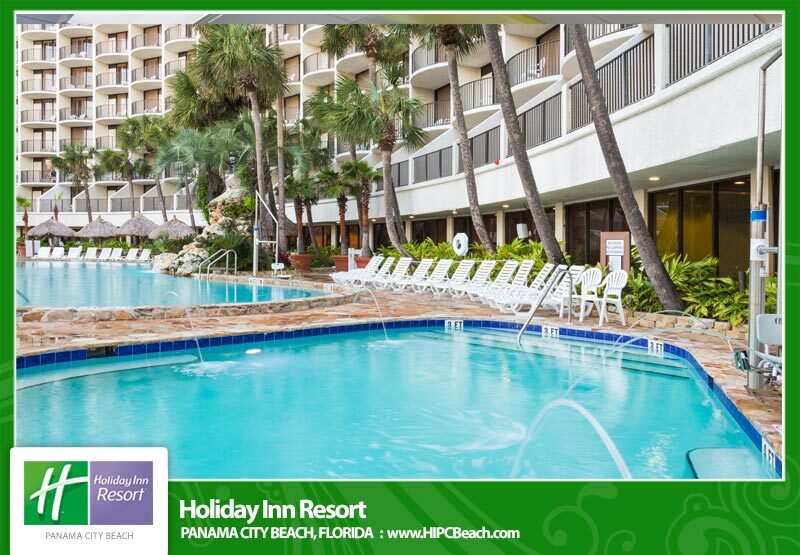 The wonderful tropical pool of Holiday Inn Resort Panama City Beach also faces the beach and is surrounded by a sundeck with lounge chairs. The gulf front Aquarius Spa offers a wide range of services from body treatment and fitness center to relaxing massages and saunas. The Panama City Beach resort features a game room as well with arcade games and free pool and ping pong tables that your kids will love. The on site Tropical Market is great for buying all the snacks, drinks and fruits you want. Panama City Beach is filled with great hotels of different categories, so if you think you want to try your luck at finding even cheaper resorts in the area, go ahead! All you have to do is a quick research, enter your travel details, pick providers and hit the compare button. You can browse many other deals and choose the one that is best for you and your loved ones.